PROVE GOD - DO NOT PUT THE LORD YOUR GOD TO THE TEST! "Not that old chestnut? If you have been in church any amount of years, you are bound to have heard a sermon from Malachi 3 on tithing or giving! It easy to just sit back and let the waves of instruction and exhortation roll over the shore of your mind without really processing what is being said or what it might mean to you. Suppose we pretend for just a moment that we have never read this passage or heard it preached about. Suppose for a moment the word tithe is brand new to us, and we don't know what it it means or its history in the Bible. Suppose for a moment that the idea giving to God has not yet made its way into your conscious mind and you are hearing about this for the first time. In Malachi 3 God accuses his people, Israel, of robbing him! Now that is a serious accusation, to say the least. However, it is an odd one too. How could a man possibly rob God? Is not God creator of all things? Does he not rule over all of creation and sustain it? Do not the cattle on a thousand hills belong to God? Did he not say to his people one time even he were hungry, he would tell them, even if he did need something he would rely upon them to provide for him? It seems odd for God to accuse human beings of robbing him, when he is ruler and Lord over all of creation. When the rhetorical question goes out, "How have we robbed you?" The answer comes back, "In tithes and offerings" (Mal. 3:8). To understand that statement, you have to know that Israel was connected to God by a covenant, an two-sided agreement entered into by two parties who agree to terms involving undertakings on the part of each so that they can enjoy concord with one another. The covenant is the basis for the relationship, but the relationship is supposed to develop into something mutually satisfying and even beneficial and enjoyable on both sides. In Exodus 19 we find Israel agreeing to the terms of a covenant with God, who has rescued them and redeemed them from Egyptian slavery. The terms on their part require them to trust God and to obey his commands, so that they live righteously in this world as a people, and as individuals. The 10 commandments are the basis for understanding this righteousness and served as a impetus to produce it. As a result Israel was to give to God, render to God if you like, its love and loyalty, displayed and expressed in obedience to his law, and the terms of the covenant (Deut. 10:12; 11:13; 30:16). Love and fellowship was what God was looking for out of the relationship. Since he is holy, his people, in order to commune with him, must also live righteously. From God's perspective the covenant involved his blessing his people, protecting them and working generally in their behalf, so long as they obeyed him. It was critical for Israel to understand that the arrangement could only survive so long as they had faith in God and obeyed him. After all part of their role was to act as a kingdom of priests to the world, and represent God to the Gentiles (Gen. 12:1-3; Ex. 19:6; Isa. 42:6; 49:6, cf. 1 Pet. 2:5, 9; Rev. 1:6; 5:10). The world could only know God if Israel was an accurate representation of him, especially with respect to holiness, grace, compassion and love, but also in aversion to sin and justice toward the wicked. Part of their responsibility was to give offerings, tithes and free will offerings to God. The tithe is literally a tenth part of their income, which they were to set apart for God, to be used in the work of the priesthood, and to service the needs of the poor and disadvantaged in the land (Lev. 27:30, 32; Num. 18:21, 24, 26, 28; Deut. 12:4-14, 17; 14:23-25, 28-29). So tithing and bringing offerings to God was a part of their covenant responsibility, and a way to express worship (honoring and thanking God for his blessings) and their dependency on him for his provision in the future (faith and trust). As for God's part, he made an extended and detailed list of undertakings in Deuteronomy 28, whereby he would support his obedient people, so long as they trust him by obeying him. If they kept the covenant on their part, they would find God faithful in keeping the covenant on his part. Even a cursory reading of the Old Testament is likely to identify the chief problem that arose for Israel. The people just could not and would not obey God or live under the terms of the covenant. They worshiped the gods of the land, engaged in the immorality of the people who once lived there, committed unspeakable acts of sinfulness and refused to act justly toward the poor and disadvantaged, as God has specifically commanded. It was especially the worship of other gods, their sinfulness and failure to act justly toward others with compassion that tipped the balance of God's wrath against them and led to their punishment and exile. Malachi was written to the newly returned exiles, after 70 years of captivity, and who were now living in the land and in Jerusalem. Already there were problems with their allegiance to God, and Malachi prophesied the warnings from the Lord. The temple was open and offerings were being made, but their worship was half hearted and substandard. Apparently they were bringing diseased or injured animals to the temple for sacrifice, instead, as they had been instructed, animals that were perfect and without blemish (Mal. 1:6-11). And there was an attitude problem too. The worship and whole offering scene was too much trouble, an interference with their lives and affairs. they found it burdensome to stop to worship God, to have to go up for the feast days, and their secret sighs and contemptuous snorting at the obligations they had to God under the terms of the covenant had not gone unnoticed by him (Mal. 1:12-14). In other words, it was all too much trouble, and too expensive, so they held out on God. In our passage, God is inviting the newly repatriated exiles to engage the terms of the covenant in order to prove that God will be as good as his word, and bless them just as he originally promised he would. The covenant cannot work if only one party is carrying all of the responsibility. If the Jews now in Palestine close the doors to blessing and fellowship with God through disobedience and disregard, then they stand to lose the benefits that he desire to confer upon them. That is what he is saying in this passage to his people. On the other hand, they can prove or test the terms of the covenant, and let it be demonstrated to work in their lives, if they will just give to God what belongs to God! When God is acknowledged and put first, when his authority is accepted and he is obeyed, when God's people acknowledge him through holiness, faith and love, God will respond and pour out his blessings on them (Mal. 3:10-11). The point is, the relationship with God can only work when God's people are prepared to give to God what belongs to him, including worship, honor thanks, faith and obedience, as well as their giving, their tithes and their offerings. The principle that operates in the covenant is that for God's people to be in fellowship with God and blessed by him, they must keep to the terms of the covenant. They must, in effect, render to God what belongs to God, so that God may bless them in return. God will not bless a stubborn, rebellious and sinful people, who resist his will and refuse to obey him. That is the same as living without the covenant, and outside of the covenant the blessings God wishes to bestow and is prepared to give, do not operate. When Jesus was asked about paying how lawful it was in the context of Israel's kingdom aspirations to pay taxes to Caesar, he responded by asking for a coin and asking whose inscription and image was upon it. Upon hearing it was Caesars, he instructed those who made the inquiry to, "Give to Caesar what belongs to Caesar and to God what belongs to God" (Mark 12:17). This is precisely the principle that operates in the covenant, where God demand that his people give them whole tithe and trust him to bless them as he promised. They are to do their part and have confidence in God that he will do his, and not let them down. In other words, tithing and giving offerings is a way of obeying God, and giving expression to the trust that exists between him and his people. It is a way of saying that we trust God to bless and provide for us because he will be faithful to his covenant. We give not to get, but to prove that God is true to his word and faithful in his promises. To enjoy fellowship with God means that we have to believe in his faithfulness to us. One vital way of expressing that in the context of the new covenant is by giving sacrificially and regularly for the work of the kingdom and to help meet the needs of the poor and disadvantaged (Acts 2, 42-47; 4-5). Some have said that the there is no mention of tithing in the new covenant. This is not precisely true. While neither Jesus not the Apostles speak specifically to tithing, there is a great deal of talk in the New Testament about generosity and trusting God for provision for our needs. These are the two principles at work in the old covenant, God's people giving generously to God and one another, and believing that God will meet their needs with abundant blessings as he promised. Secondly, Jesus commended the Pharisees for tithing, but not for their technical calculation of the tithe while in their hearts they despised people, and were greedy for gain (Matt. 23:23-24). It was their hypocrisy he criticized, and he did not condemn their obedience to the ordinance. Their problem was that tithing was an act of faith and generosity, but for them it was a religious technicality, and there was no generosity of the spirit involved. To give to God is about faith and generosity, of obedience and faith. It still is. 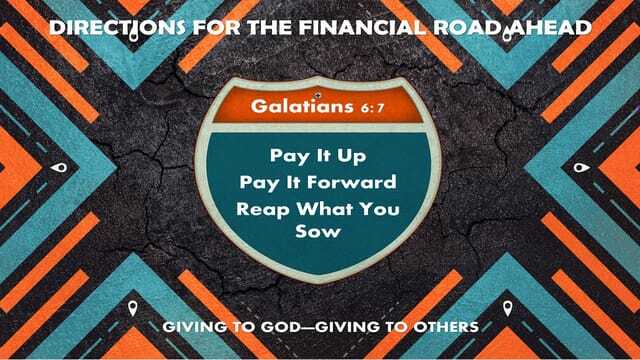 When Paul commended the Macedonians for their offerings, he mentioned how they fist gave themselves to God, and their financial offering flowed out of their first sacrifice! The first sacrifice to God needing to be laid on the altar, is our whole selves. We need to turn to God in faith and repentance and give our lives to him in faith. Once we have given ourselves to God to be reconciled to him, we can give generously of what he has given to us to meet the needs of other and to build his kingdom. He has promised in that context to bless and provide for us.